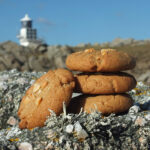 Recipe from Kerstin Rodgers’ cookery book V is for Vegan. I have had this breakfast three times in the last week. True story. Back in January this year I had the pleasure of meeting the wonderfully charming Kerstin Rodgers, the author behind the popular London food and travel blog Ms. Marmite Lover and several cookery books – including V is for Vegan. Kerstin was visiting Shetland on a press trip, covering our local Up Helly Aa celebrations. She sent me a message – would I like to meet for lunch one day? I can’t even begin to describe how nervous I was. Kerstin is one of those old school bloggers. You know, the ones who have been doing it for a very long time – long before food blogging became so increasingly popular and trendy. She’s one of the original bloggers who have made food blogging popular and trendy – her blog posts date back to 2004. She’s one of those bloggers that us bumbling newbie bloggers look up to in awe and admiration. 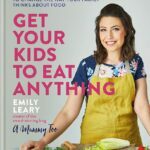 I’d seen her speak at BritMums Live in 2014 and again at Food Blogger Connect in 2015. It turns out that my nervousness was completely unfounded. Her charming personality and warmth shone through and I was immediately put at ease when we met. We had a lovely coffee together and I suggested we walk around the town so I could show her some of the sights. She’d just bought a fantastic knitted viking hat which she was wearing with pride (pictured above). I spent the next four fantastic days playing tour guide and personal assistant to Kerstin, from getting us last minute tickets to a hall for an Up Helly Aa night of dancing and revelry, sourcing local ingredients, holding up light reflectors for photography during an afternoon’s cooking over an open peat fire in the Old Haa on the island of Yell to relaying stories and anecdotes of the scenery around us. You’ve got to read her Shetland cookery post written for the online magazine Ham & High – you might recognize the Fair Isle knitwear I bought especially to wear to BritMums! It was a very memorable four days and made me wish Kerstin lived closer – she’s a rather inspirational woman. So yes, in addition to her blog, launching the supper club/pop up/underground restaurant movement in the UK in 2009 with her supper club The Underground Restaurant (check out her website to find out where your nearest supper club is) and freelance food and travel writing, Kerstin has written several books – Supper Club: Recipes and notes from the underground restaurant (2011); Ms. Marmite Lover’s Secret Tea Party (2014); V is for Vegan (2015) and Get Started in Food Writing (2015). She very kindly gifted me a copy of V is for Vegan – the cookbook that blows the myth that vegan food is brown and bland out of the water. With over 150 delicious and vibrant mouth watering recipes to choose from this book has everything you need to know about how to eat vegan – from what to stock up your pantry with (including some ingredients you might not know exist! ), vegan techniques and recipes for snacks, breakfast, lunch, dinner and dessert. I am planning on going vegan for the month of August as part of my 40 Things I’d Like to do Before I Turn 40 list. I chose August because that’s the month my community supported agriculture scheme veg box is simply bursting with produce. During Veganuary when many people try out veganism – everything in Shetland is dead. I’m going to go vegan when I can eat as much local produce as possible. But that’s another story (rant?). This book will be my staple-go to cookery book during that month. Being a food blogger means I often get sent some weird and wonderful foodstuffs to try. I was recently sent a few packages of silken tofu from Mori-nu. It has, in all honesty, been a few decades since tofu was a regular part of my diet. I might have tried it once or twice over the last few years with my family, but I confess, as a store cupboard staple it’s fallen by the wayside. So I turned to V is for Vegan for some recipe inspiration. You would be surprised at the number of cookery books out there that don’t have an ingredients listing in the index. This is how I find new recipes to try – I start with an ingredient and find a recipe I like the sound of. I was pleased to see that V is for Vegan had such a comprehensive index. 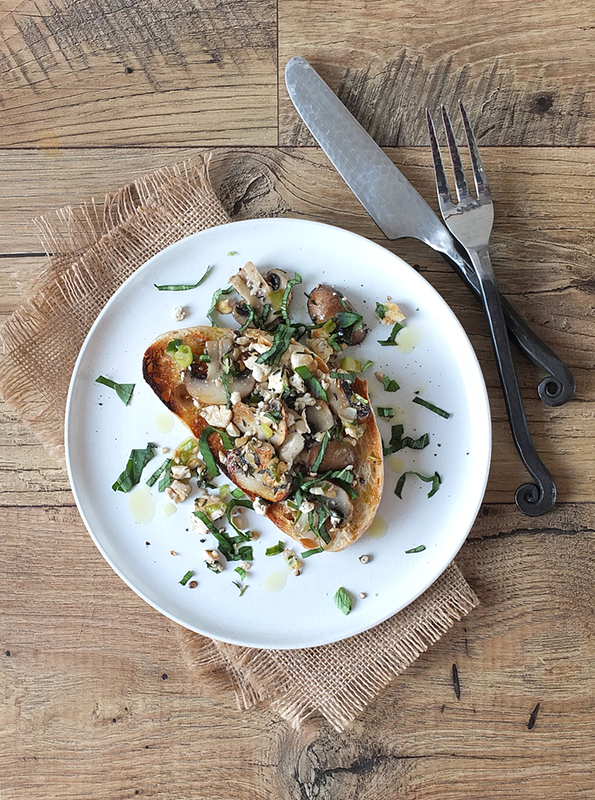 I just happened to have all the ingredients on hand for scrambled tofu on truffled sourdough bruschetta which Kerstin describes as one of her favourite dishes in the book – absolutely delicious. This seemed as good a place to start as any! What an incredibly delightful and mouthwatering recipe this was! I was really pleasantly surprised, so much so I ate it for breakfast for three days in a row. It’s really quick to make and there are all sorts of different tastes and textures. I used some white truffle infused olive oil from Pomora to drizzle over the sourdough toast. This, with the combination of egg-like scrambled tofu, sauteed mushrooms, fresh herbs, spring onions and plenty of sea salt and black pepper – it’s amazing. Even my husband was impressed, and when it comes to vegan food he’s not really that much of a fan. As a note – I replaced the olive oil used in the recipe for coconut oil. I was really impressed with the tofu too – it really does have a gorgeous silky texture and it did resemble scrambled eggs when cooked. Tofu has a fantastic ability to soak up flavours like a sponge, as well as providing a low fat, high-protein, dairy and gluten-free addition to meals, whether you’re a veggie, vegan or looking for a healthy and protein rich alternative. Mori-Nu Firm Silken Tofu has a really impressive shelf life. It can keep in your cupboard for 12 whole months, with no fridge needed until it’s opened – just the sort of thing I need living so rurally. Look for it on-shelf alongside other authentic Japanese ingredients. And, as stories are wont to unfold, Kerstin subsequently wrote a blog post on Ms. Marmite Lover all about me as Britain’s most northerly food blogger. There’s even a couple of photos of me if you want to know what I look like! BBC Radio 4 read that post and got in contact, and I spent a morning recently recording with the BBC, on site, for an episode in the BBC Radio 4 technology series Digital Human: Taste. Apparently they thought I was a very interesting person! The radio program will be aired on Monday the 18th of April at 4:30pm, if you fancy tuning in! It’ll be available to download and stream for a year after airing too, if you miss it. You should also follow Kerstin on Twitter, Facebook, Instagram and of course, her fantastic blog Ms. Marmite Lover. A quick and easy breakfast recipe from Kerstin Rodgers book V is for Vegan. Heat the oil in a frying pan over a medium heat and, when hot, sprinkle in the spring onions, mushrooms, tofu and herbs. With a spatula, fry the tofu until it looks dry, like scrambled eggs. In the meantime, toast the bread, then rub with the cut garlic clove. Drizzle over the truffle oil or paste. Serve both together, with the shredded basil as a garnish, and, if you like, a couple of turns of fresh black pepper from the mill. 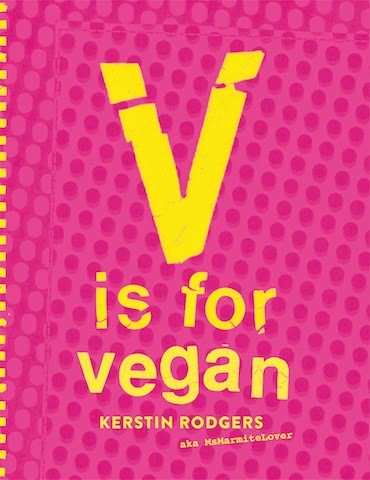 V is for Vegan is a hardback book retailing for £20. You can buy a copy on Amazon right now for £16.49 or a Kindle edition for £6.80. It’s well worth every penny. Quadrille, the publishers of V is for Vegan, have kindly offered two copies as a giveaway to two of my UK readers. To enter, simply fill out the Rafflecopter entry form below! For your chance to Win one of two copies of V is for Vegan by Kerstin Rodgers enter using the Rafflecopter form below. Come back and tweet about the giveaway every day for more chances to win! The prize is offered and provided by Quadrille. 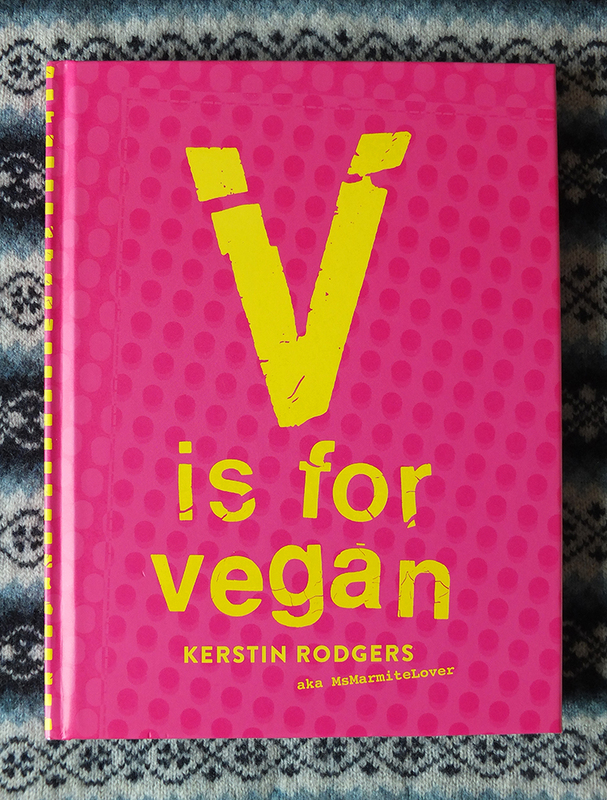 The prize is to Win one of two copies of V is for Vegan by Kerstin Rodgers There is no cash alternative and the prize is not transferable. If you need some help using Rafflecopter, here’s a quick clip to show you how. Rafflecopter will pick the winners at random from all the entries received. I will be verifying entries and any automated entries or those who have claimed they have made the mandatory blog post comment and really haven’t will be disqualified. It’s mandatory! Please make sure your comment is eight words or longer or Google views it as spam. Closing date is midnight (that’s 00:00 hours, 12 am on Sunday night/Monday morning) on Monday 25 April 2016 (GMT) and the winner will be announced shortly afterwards. Elizabeth’s Kitchen Diary was gifted a copy of V is for Vegan, and all thoughts and opinions expressed are our own. Recipe reproduced with permission from Kerstin Rodgers. With thanks to Mori-Nu for the tofu samples. All links in orange are Amazon affiliate links, meaning if you make any purchase through them we will earn a small commission. I love scrambled tofu, but usually make with my own tofu, I’ve never tried with silken. I am a fan of Kerstin’s cooking so will try her recipe. Sounds like a fun meet up – and I had a look at the write up on Miss Marmite Lover and it is great to read a bit more about you – makes me admire you for such remote living – we looked at going further north when we were in Edinburgh recently and the bad weather and huge expensive made it less attractive than europe but would love to go a bit further north in Scotland one of these days. 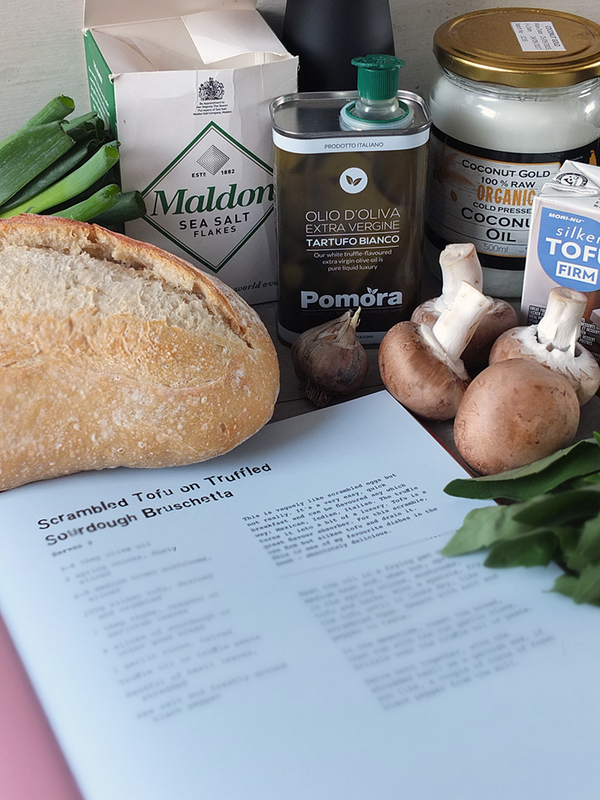 And thanks for the inspiration on the truffle oil – I have some that I have been wondering what to do with – maybe there is scrambled tofu in my near future! I like Vegetable and bean Jalfrezi with Basmati rice. Squash and Coconut Curry (recipe on BBC Good Food website). Favourite is chilli lentil quinoa. So yummy. Takes more time than many vegan recipes but so worth it, or for dessert vegan chocolate mousse using silken tofu. So simple, yet delicious. Avocado Chocolate mousse is a must! You could also try blended tofu with a mango coulis. I’ve only just become Vegan.. so am still experimenting, but so far a Tofu Curry is my favourite and I’m going to try this Scrambled Tofu for breakfast/brunch.. looks delicious ! Anything with crispy tofu … yummy! Vegetable vegan biriyani with carrot salad. A meat and dairy-free, Indian-inspired basmati rice dish with cauliflower, French beans, peas, potatoes, homemade curry paste and carrot salad. 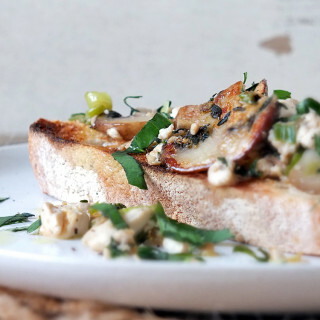 This sounds like a fab book, and I love the look of the Scrambled Tofu on Truffled Sourdough Bruschetta. Eggs are the thing I would really miss if I had a permanent vegan diet. I struggle with inspiration for vegan recipes, I’d love to try more! Vegan Korma curry from scratch with oat cream, it really compliments the ground almonds. Just make sure it isn’t too mild! houmous with lots of veg to dip, and that helps to practice my knife skills too! I love making bean burgers from kidney beans, fried onions and sweetcorn. i like vegan brownies. I have a few vegan and veggie friends would love to win so i can cook for them! There’s a lovely Persian Frittata recipe using tofu on the Coconut and Berries site. I also love carrot dogs, and my son makes a mean chickpea curry. He also loves making Thug Kitchen’s white bean and red lentil burgers – they are the nicest vegan burgers I’ve tried. Oh, I discover your blog through this recipe and I am very glad I found you. 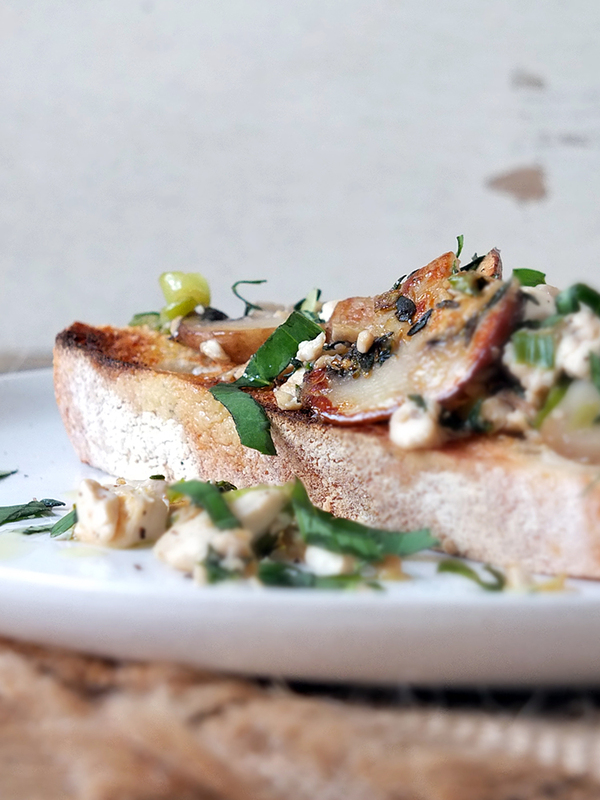 This bruschetta has got everything I love on it. I can’t wait to try it! That sounds and looks really good, and I’m not a tofu fan. So not totally convinced. I think I would survive on houmous. Try it in a wholemeal sandwich with grated carrot. Really yummy. I like a winter vegetable pie, or vegetable stew and dumplings. Lovely and filling! My OH makes a gorgeous leek and potato gratin using alpro soya cream. 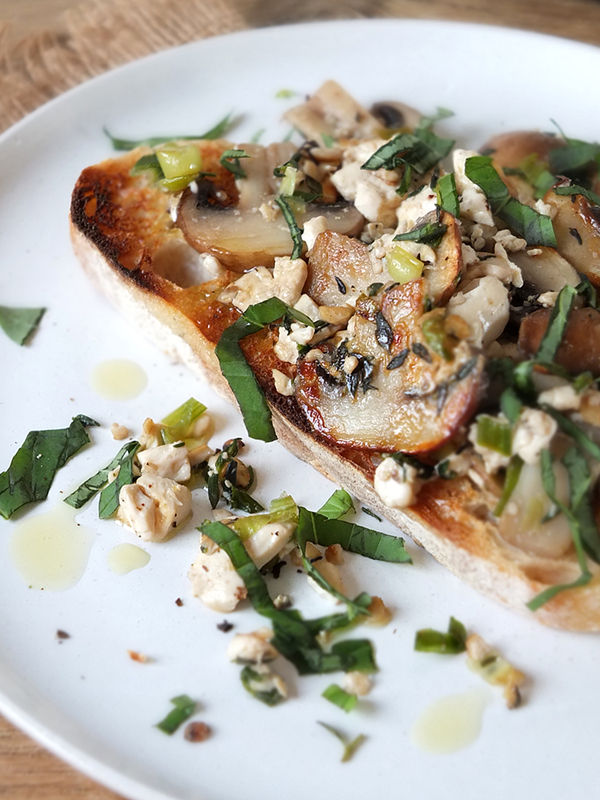 I can totally enjoy this SCRAMBLED TOFU BRUSCHETTA for breakfast any day! Looks deliciously creative! Such a good source of information, I came here having heard about the v is for vegan cookbook since I’m a new vegan looking for a physical guide to cooking, (there’s nothing like a real book for use in a tiny kitchen) but I may learn something from you and your diary. Thank you! I’m vegetarian, dairy intolerant and not a big fan of eggs, so eat a lot of vegan food. I like to eat Middle Eastern food, so I suggest you try mujaddarah, which is rice & brown lentils with cumin & caramelised onions, along with mousaka’a which is not the Greek meat dish but a stew made with aubergines, chick peas, tomatoes and spices. That sounds like a lovely dish. I really love tofu so versatile. I am keen to try this recipe. Vegan pancakes are so yummy especially with almond butter and frozen berries. My teenage daughter makes a lovely vegan hot chocolate drink with almond milk . Baked Sweet potato with lemon houmous is delicious! Quinoa with roasted sweet potato, aubergine and kale – yum! I am always on the lookout for innovative ways to use tofu and your dish looks fantastic! Thank you for sharing with us! Tofu is a truly versatile protein ingredient. I love how this recipe is using it. Great story BTW! So fun to make connections like this! Looks like a great cook book! Your breakfast looks absolutely delicious. I couldn’t eat vegan food as I’m so fussy! But this does look like a good recipe! I’ve never been a great fan of tofu but this recipe looks delicious. I’m a big fan of Kerstin’s blog and books too. I’m a very long time vegetarian going slowly vegan. I like the idea of setting myself the idea of doing it for a month. No pressure. A great favourite with everyone I’ve made it for is a Moroccan tagine made with sweet potato and/or butternut squash as a base plus other veggies, lots of dried apricots and served on a bed of barley which really makes it interesting. I’d love to link to a recipe but I made it up myself, on the back of being served something similar in a restaurant! I like miso broth with greens and Tofu with seaweed and spring onions. Sounds great – I think I have a jar of miso somewhere, must try that! This is my kind of breakfast. I must give this a try. 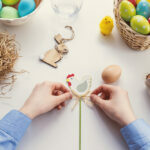 It really is rather lovely and so simple to make! My mouth is watering! Sounds like you had an amazing adventure. I’m going to have to try scrambling tofu. It’s funny how every day brings a new adventure isn’t it. Never a dull moment! I love vegan curries and chillis. There are some fantastic recipes out there, aren’t they. Delicious doesn’t always need meat! Elizabeth recently posted…Creamy Vanilla Protein Cheesecake – Steampunk Style! I make vegan Mexican dishes all the time! Super yummy! And that tofu looks just like cheese on this recipe! Yum! MMm I love Mexican flavours, and yes I suppose it does look like cheese! It has to be a red lentil dhal for me – I’m a massive fan of Indian flavours! I’m a big fan of Indian flavours too. Red lentil dahl is fab! Vegan brownies with crushed Oreo’s are literally amazing!!! Oh I’m loving the sound of that! I tried a vegan version of Feijoada recently. It’s a lovely dish for winter. I’ve never heard of that – will have to check it out! Wild garlic hummous. So yummy and the wild garlic can be foraged locally. I LOVE wild garlic – last year I found a patch locally, I had no idea it grew in Shetland! It’s quite amazing how light and fluffy vegan cakes can be! It’s a rather versatile ingredient, but sadly I haven’t been experimenting with it as often as I probably should! Fantastic post. How lucky to have met an idol of yours too. I’m not really a tofu person, but, the recipe looks good. I would use an alternative like mozzarella. Mm I love halloumi too. Is there a vegan version, I wonder? Just what I need to to spice up my presently boring menu. These dishes look delicous! It is a rather scrummy and easy to make breakfast recipe, for sure! 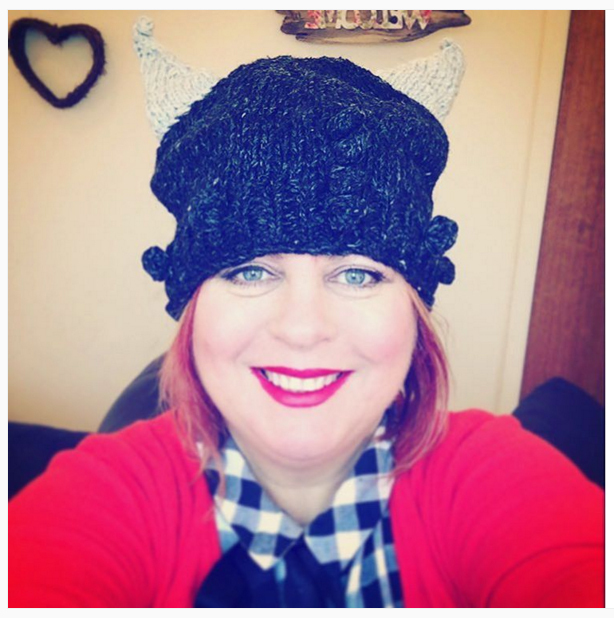 Mookie Moo recently posted…My Passionate Lovedrobe Affair. This recipe looks really ummy, well worth trying i think. What a lovely post. 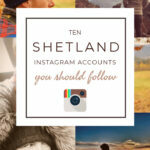 Thank you Elizabeth of Shetland! I’ve never tried tofu but this looks delicious! It’s quite a versatile ingredient that takes up the flavours you cook it with. Well worth experimenting with. You ARE a very interesting person Elizabeth! This is so cool, what a legend – and I love how meeting Kerstin lead to something so awesome. I’m a firm believer in being open to the fact that any person can open a new door, you never know who that person might be but great things can happen, new adventures and experiences! Can’t wait to hear you on the radio! I often have silken tofu in my little store cupboard, as like you say, it lasts for ages. I usually just throw it in a noodle soup or something for some emergency protein. This looks like a much more delicious use for it! I tired this at a vegan cafe last year and I was really impressed with how good it was. It makes a nice change to eggs. It certainly does, doesn’t it. My go-to breakfast now if I have the ingredients! It’s so quick and easy to make too. I definitely recommend it! I really enjoy tofu, and the sourdough bread sounds delicious! I confess I bought it from the supermarket, the bread, that is! Was so pleased to find a loaf there! Wow this looks very yummy. I would love to try this. It’s so cool that you’ll be going vegan. This recipe looks great! I’m so new to cooking with tofu. I would like to buy the Vegan book as I am a veggie but have friends who are vegan so it would be nice to make some food for them. Also loving that tofu recipe. It’s a great book to have, I think – loads of inspiration! I’ve never tried any before – need to remedy this! 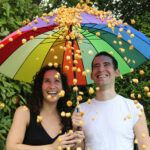 Yours is possibly the best food blog I have ever seen… from the photos to the content and stories. Love! Wow! This looks incredible!! I just had lunch but you are making me hungry again! StressedMum recently posted…What kind of Mum are you? Glad you got to meet a blogger you admired and had such a great time together. I met my best friend through blogging and I’ll be forever grateful for it introducing us. I am not a vegan myself but my friend’s other half is and he would absolutely love your recipe, I’ll be sure to show it to him. And congratulations on your radio début, how absolutely fabulous! Ratatouille is a tasty vegan recipe and great for the Summer too! This sounds like a really tasty dish, thanks for sharing it. Glad that you got to meet a blogger you hold in such high regard too! This is WONDERFUL! Tofu is one of the few things my husband will accept as a substitute for meat at dinner, I can’t wait to try it out on him! Totally my kind of breakfast. I am trying to eat more protein in the morning. What a lovely way to to disquise tofu. I have made spring rolls b/f and the kids had no idea. Vegan chocolate mousse – made with banana or avacado blended with cacao powder and sweetened with maple sryup.